The Club found its origins on the council green in Malpit Lane Recreation Ground where a group of bowlers played fairly regularly. 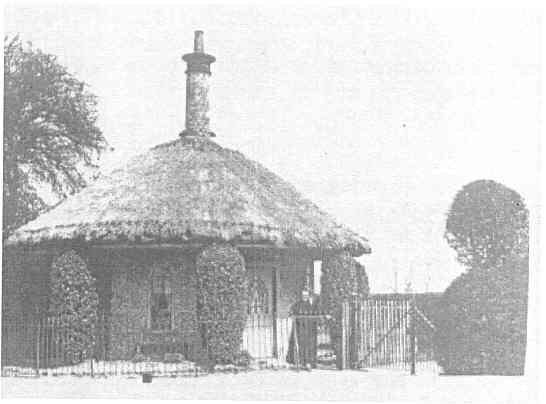 They broke away to form a private club at the Ashdown Park Hotel (now demolished) which was at the southern end of Fairdene Road, where a green and room were provided by the Hotel. Things did not go quite according to plan and they decided to start afresh. On Friday 16th November 1935 at 26 Chipstead Valley Road a meeting was called by Mr A.T.Markwick a well known local butcher, at which nine other gentlemen were present. Mr Markwick put an idea to the meeting of acquiring one and one third acres adjoining Coulsdon Court Golf Club, laying out two bowling greens and erecting a pavilion which would include accommodation for a greenkeeper and his wife. The estimated cost would be in the region of £5000 and Mr Markwick was willing to contribute £4000, the balance to be made up by the others. As things turned out most of the funds were found by Mr Markwick. Negotiations for the purchase of the land were completed for £1,333.6.8 and a company limited by guarantee was formed under the aegis of Mr Percy Holt a solicitor, to assume the purchase contract. Further contracts were entered into by the company for laying and equipping two Cumberland turf bowling greens at a cost of £1 ,500 plus £45 for an approach roadway together with a further contract with Messrs Bacon and Sons Ltd for the building of the pavilion at £2,350. A public meeting was held at the Red Lion Hotel in November 1935 to explain the proposition and to invite support. 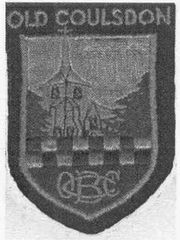 The idea was well received by the 65 gentlemen who attended and the scheme effectively came to life when the company registration was completed on the 8th January 1936. The first Directors meeting was held at 22/24 Chipstead Valley Road on Tuesday 14th January 1936 at which Mr Percy Holt was elected Chairman and Mr F.E.Liddelow was made Secretary of the company. The following directors were also present:- Messrs A.T.Markwick J.F.Tompkins, A.P.Webster, F.E.Burridge, A.J. Gibson, A.E. 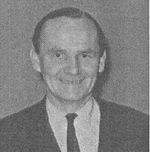 Hunt, H.E. Randall, T.E. McColioch, R. Solly, C.T. Westleyand and R.W.E. Avis. displayed in the clubhouse commemorating Mr A.T.Markwicks' extreme generosity and manifold services to the club. 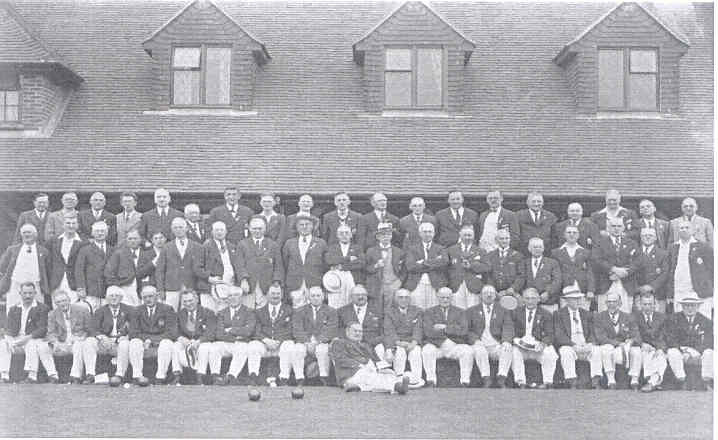 At the Annual General Meeting held on the 18th February 1937 in the Club Mr Percy Holt was elected the first President of Old Coulsdon Bowling Club. During the second World War the premises were occupied by the London Defence Volunteers and the Home Guard but the greens were still open for play and luckily the buildings suffered only light roof damage. By 1950 a waiting list was introduced for men and also for social membership. About that time the subscription was increased from £3.3.0d to £4.4.0d per annum. During the 50s alterations were carried out to the club premises by enlarging the kitchen area and extending the dining room. This extension is now the window bay area ot the dining room. Again during the early 50s the Club had the distinction of being one of the first, if not the first to have bowls televised from its greens, even if it only appeared for a few moments on the screen. 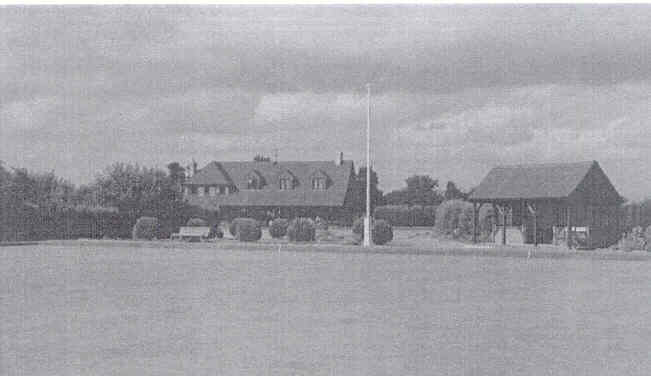 About 1950, as cars were more plentiful, Mr A. T .Markwick presented the Club with the land now forming the present car park together with the freehold of the land forming the approach road to the Club. There were further improvements in 1971, when an automatic watering system was installed and at the same time the opportunity was taken to provide toilet facilities as an extension to the small pavilion. In 1968 the Club had sought to have an indoor green built alongside the bottom green. However, there was strong opposition by local residents and therefore denied by the local authority. That particular indoor scheme was dropped. But in 1974, as a result of Mr Sam Walton's foresight, enterprise and a great deal of financial backing, the Club purchased some additional land and by October that year the three rink indoor green had been built attached to the Club pavilion. This new extension enabled the Club to have a new bar and lounge and new changing rooms. One advantage of this was that the dining room could be isolated from the bar area. The Club has always been renowned for its greens and other facilities and has therefore had the pleasure of many outstanding events. Some of the visitors have been the New Zealand tourists in 1951, the Australian tourists In 1969, the Canadian and American Bowling Clubs 1977 as well as tourists from Cumberland, Welsh Private Green and Alloa (Scotland). Relatively recently we have had the pleasure of having fixtures with the Chelsea Pensioners both home and away. 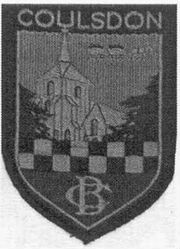 The Club badge (shown above left) devised when the founding members were attempting to start a club at the Ashdown Park Hotel Coulsdon contained a part of the Surrey badge (the chequered gold and blue) and a representation of St Johns Church which at that time was the parish church of Coulsdon. Due to its proximity to the Surrey Iron Railway, which at that time ran parallel to the Brighton Road, it also featured horse drawn trucks (just visible to the right of the church spire). 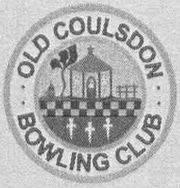 The original badge for Old Coulsdon Bowling Club (shown above centre) bears the correct name of the club but due to its move to Old Coulsdon lost reference to the Surrey Iron railway but bears another parallel to the Surrey badge in that it has three silver crosslets of the Howard family (the Earl of Surrey) - again hardly visible to the right of the spire. One outstanding player of this Club was E.C.M.Lake. Who was an English International during 1960-2. Lonsdale Trophy and in 1962 won the S.C.B.A singles title and was the losing finalist in the E.B.A. Singles Championship. is well known as a breeding ground for good players as evidenced by the many winners shown on the Club Honours board, and the number of players from the Club who have gained their County Badge.